Hey everyone, Its the day you have been waiting for. It is the release day at Taylored Expressions. All the new products we have been sharing in the sneak peeks for past three days are now available for purchase at Taylored Expressions Store. I have couple of products to share today. The first one uses Sitting Pretty dies and Sitting Pretty Accessories dies. I chose a neutral colour combination for my card. I picked Buttercream Frosting, Toffee and Gold mirror cardstocks. 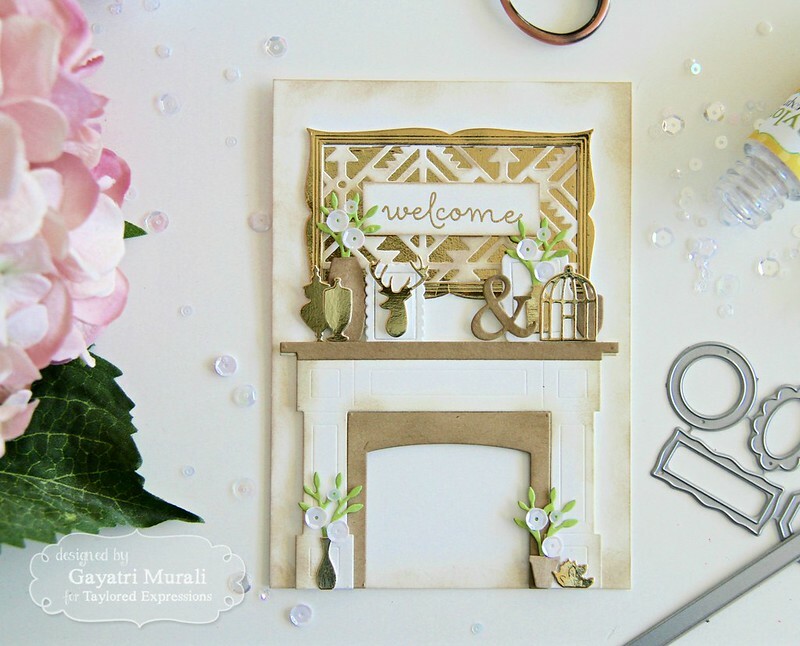 I die cut Sitting Pretty, Sitting Pretty Accessories, By the Fireside and Southwest Cutting plate along with one of the frames from Frame in a Frame die set using all the three cardstocks. So I had a variety of colours of die cut so I have enough to cluster the elements. 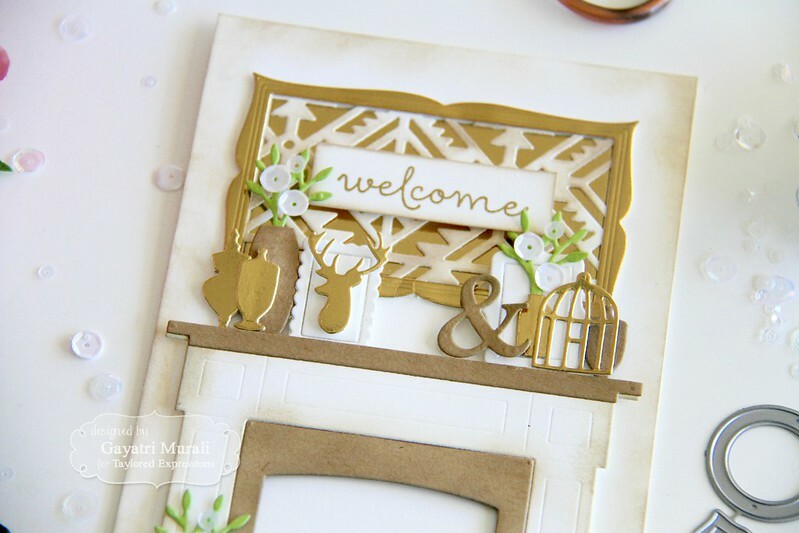 To give the vintage feel, I sponged some Toffee ink on the cream and kraft die cuts and on the edges of the cardbase. Only the foliage is die cut using Granny Smith cardstock. I made a art frame piece on top of the mantle using Southwest cutting plate die cut out behind the gold frame, trimmed the edges and backed with a piece of kraft cardstock. I love that frame. So unique and beautiful it turned out. To embellish, I used white sequins from Snow Flurries sequins collection. Here are some closeups of the card. Absolutely love how this card turned out. Lots of time and love went into make this card. All the supplies used to make this card are listed below. Secondly I have couple of matchboxes to share. 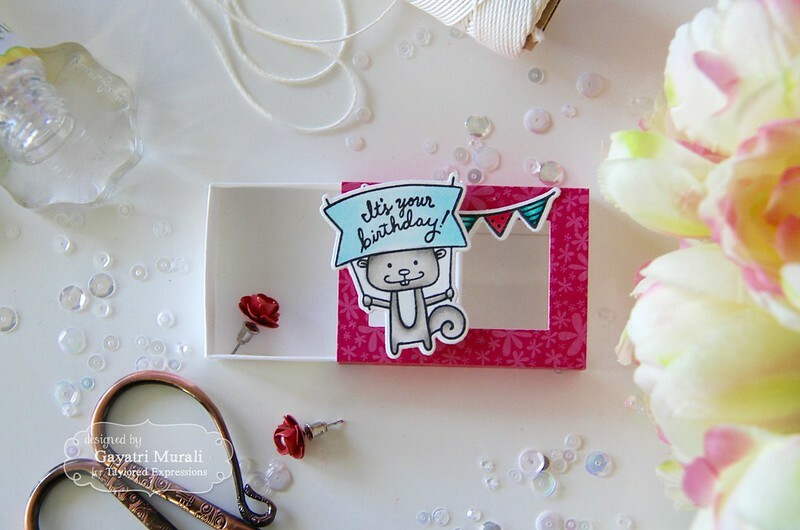 I have used the matchbox die to make these two cuties. 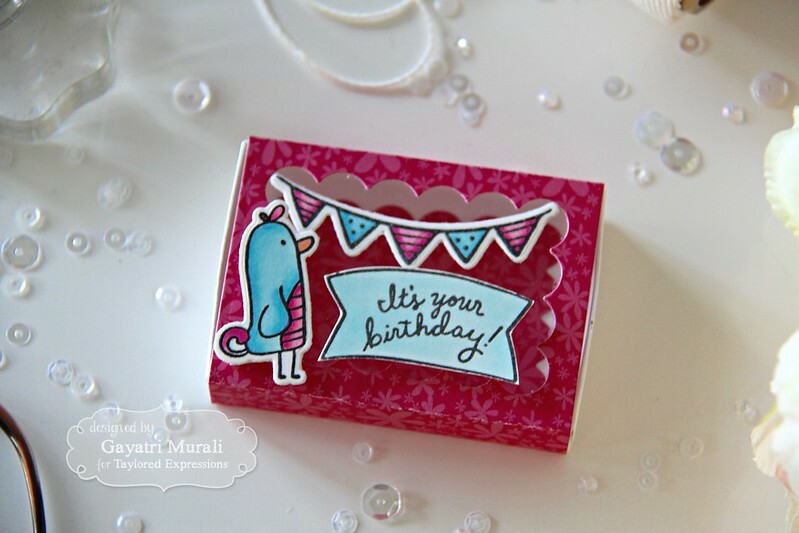 I used pattern paper from Build a Scene pattern paper pack to die cut the cover of the matchbox. I used the scalloped die and rectangle die to die cut a window on both the cover. I added acetate sheet on the back before I assembled the cover. For the base I used Sugar Cube cardstock. 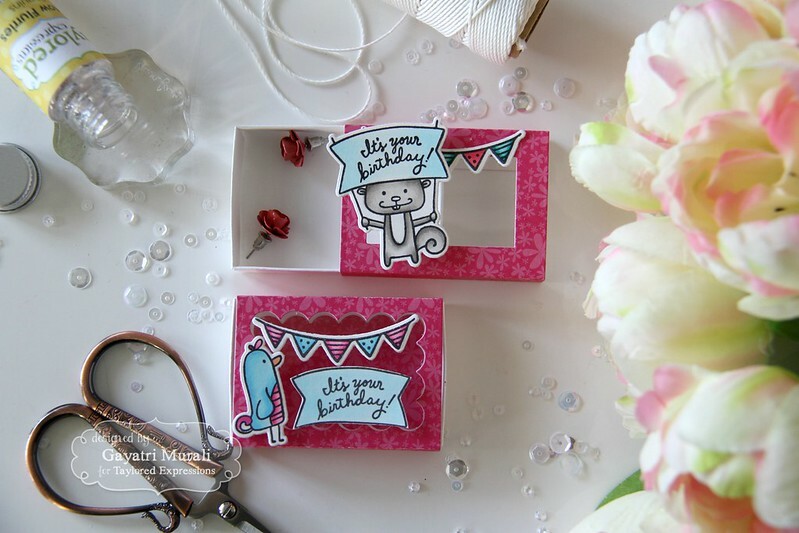 To decorate the matchboxes, I used images and sentiments from Matchy Matchy stamp set and coordinating dies. 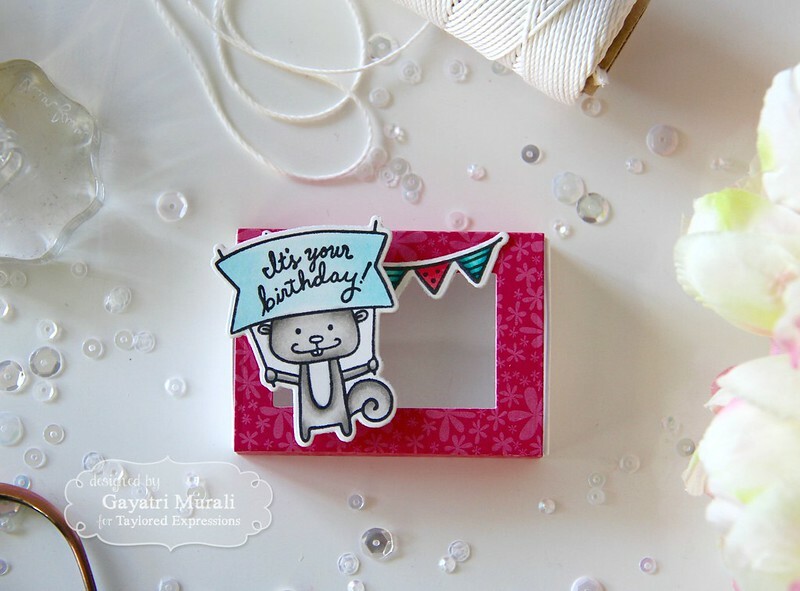 I have put in a cute pair of earrings inside one of the matchbox just to show these are perfect to put in jewellery to gift teenagers. How cute is that? My daughter took all the matchboxes I made and gave them away to her friends with little gifts like bracelets, necklaces, rings and earrings inside them. They were not even for an occasion! The girls loved them so much. I had to diecut a few more pieces for them to assemble for themselves. Anyway, here are some more photos of the cute matchboxes. All the supplies used to makes these matchboxes are listed below. Check out Taylored Expressions Blog for more inspiration and Taylored Expressions store for all the new products to shop. Loving that mantle with toffee and gold. Looks fabulous! Hello Gayatri. I just discovered you on T.E. 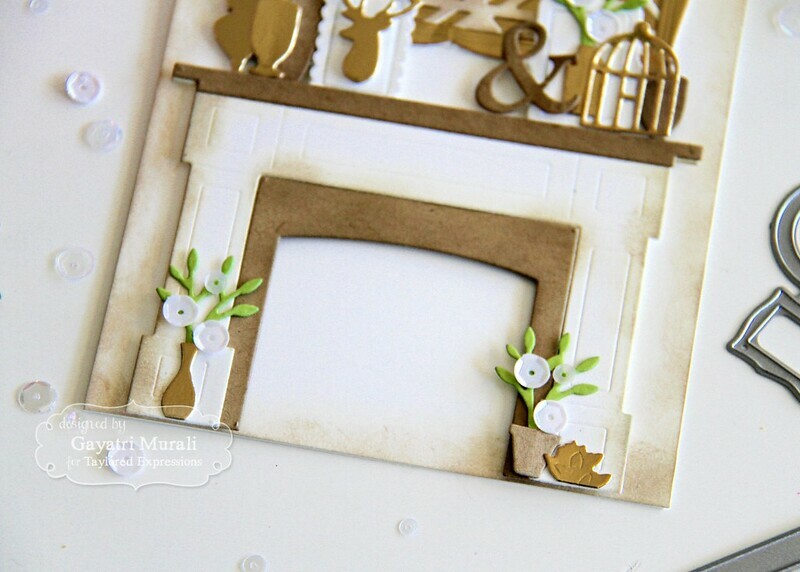 Your fireplace card is mesmerizing…I could look at it forever! It reminds me of a dollhouse, so perfect. Good luck trying to top this one. You have me hooked! Cindy E.